Lake Winnipesaukee is a shared resource; therefore we all share responsibility for effective stewardship essential to the long term health of the lake. Successful management of the Lake Winnipesaukee Watershed depends on the establishment of clear goals and objectives, and the identification of the means or techniques necessary to achieve them — as well as the long term commitment of community officials, residents, the business community, and visitors. Set phosphorus goal: Establish local water quality goals for phosphorus for each bay area that either meet or exceed the State Standard of 8 ug/L for in-lake phosphorus levels. Inform and involve the public: a) develop outreach and education materials and information for the public; b) promote and provide opportunities for individual action; and c) coordinate communication and activities between and among the local communities. Stabilize phosphorus concentrations where they are now. 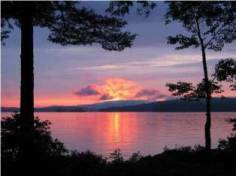 Lake Winnipesaukee is a shared resource. Our communities share the benefits of being located on “The Lake”. We share the risks associated with degradation of this resource. We also share the responsibility of effective watershed stewardship, essential to the successful long term health of Lake Winnipesaukee. The fundamental goal of this watershed management plan is to halt or minimize further water quality degradation attributable to nutrient inputs, primarily phosphorus, in order to maintain our high quality water. Current total phosphorus levels in each sub-basin are below the state standard of 8.0 ug/L established for a high quality water supporting the aquatic life designated use. We will work toward maintaining or improving current total phosphorus levels by stabilizing nutrient inputs through the reduction of nutrient sources and through managing landscape change to mitigate increased nutrient loads. Our strategies are purposeful, considerate and comprehensive. Our approach embodies flexibility allowing us to achieve our stated goal while meeting the diverse needs and capacities of all watershed stakeholders.